Unsecured debt is a form of debt that is not secured against any asset. This would normally include debts such as credit card debt, unsecured loans, overdrafts, store cards etc... These types of debt are also referred to as a non priority debt because you shouldn't give preference to them over your other priority debts (secured debts) that are secured against an asset or essential for living. If you have unsecured debt that you cannot afford to repay and you are worried about what's going to happen, then get in touch with us at debt advice. Fill in the form on this page or call freephone 0800 043 5133. All of our debt advice is free and confidential. What if I cannot pay my unsecured debts? If you find your circumstances suddenly changing and you cannot meet your monthly unsecured debts or maybe you are just struggling in general, the first thing to do is not panic. It is not as bad as you might think. There are thousands of people in the same situation as you every day, if not worse, and they find a way out. Try and make token payments to your creditors every month, should it even be less than the minimal requirements. It shows that you are trying, regardless of your situation. The next step is to contact us at debt advice. Our expert debt advisers will talk with you and listen to your problems. We will let you know what options are available to you; these could be Debt Management, an Individual Voluntary Arrangement, or even Bankruptcy. If you have secured debts, we will help you figure out how to prioritise these debts, whilst still getting on top of your debt problem. What happens to my unsecured debts if I lose my job? If you lose your job and cannot pay back your unsecured debts, do not to panic. If it is just a matter of a few payments until you find another job, you may be able to negotiate with your creditors so you can get on top of and keep up to date with your payments. Discussing the problem with your lender; when your lender hears nothing they assume the worst and take action. But if you keep in touch and let them know you are dedicated to paying the money, they may be a lot more lenient, co-operative and understanding. If you cannot afford to pay your unsecured debts and you are finding it difficult to get a job contact us for help and advice on what you can do. There may be other debt options that you are unsure of. There is always and answer to your debt problem and we are happy to give you the best Debt Advice for your circumstances. Our advice is free, confidential and without obligation, so you have nothing to lose by discussing your situation with us. How can I reduce my interest on my unsecured debts? If you are struggling to pay your monthly unsecured debt repayments and your interest is very high, you could try transferring to a low interest rate credit card. Be sure not to use the card for purchases as you may get stung for interest again. If you can get the newer lower interest card at a fixed rate, this will be ideal. You could also try negotiating a lower rate of interest with your current cards lender if you are having problems. If you are loyal and dedicated, you may find the lender to be understanding and they may lower your rates. 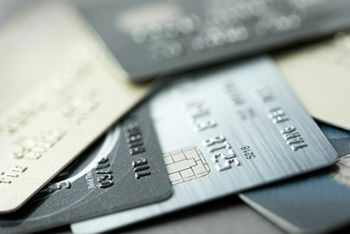 Avoid cards with annual fees. There are plenty of providers who don't charge an annual fee. If you have unsecured debts that you are struggling to repay and need advice on how to deal with them, fill in the form on this page and we will call you to assess your situation and discuss your options.